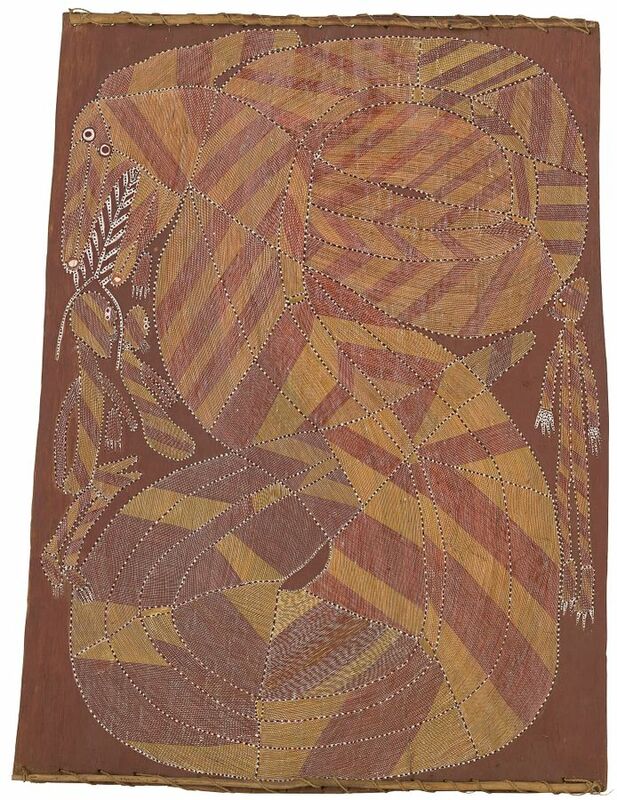 John Mawurndjul, Kuninjku people, Northern Territory, born 1952, Kubukkan near Marrkolidjban, Arnhem Land, Northern Territory, Ngalyod, the Rainbow Serpent at Dilebang, c.1979, earth pigments on Stringybark (Eucalyptus tetrodonta), 127.2 x 88.8 cm; Gift of the Premier's Department, 1980, National Gallery of Victoria, Melbourne, © John Mawurndjul/ Licensed by Copyright Agency, 2018. A MASTERFUL FUSION OF TRADITIONAL AND CONTEMPORARY ART. John Mawurndjul: I am the old and the new presents the masterful fusion of traditional and contemporary art from the sedge-grass brush of one of Australia’s greatest living artists. 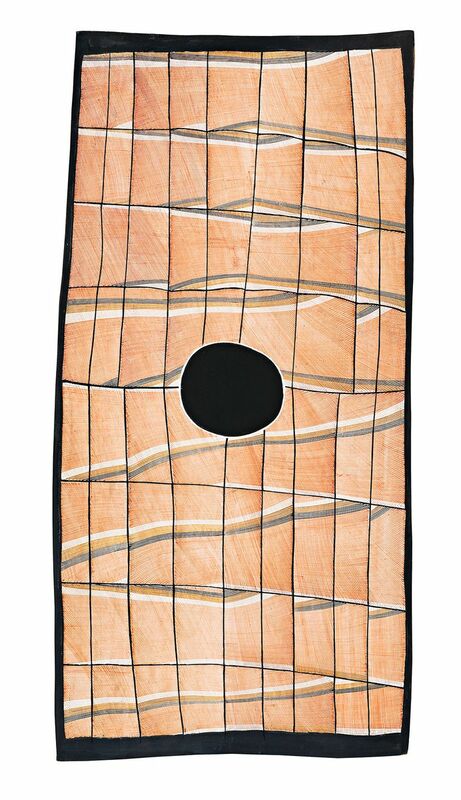 John Mawurndjul has been celebrated internationally for his groundbreaking approach to bark painting and for the dazzling radiance of his meticulously painted rarrk (cross-hatching). 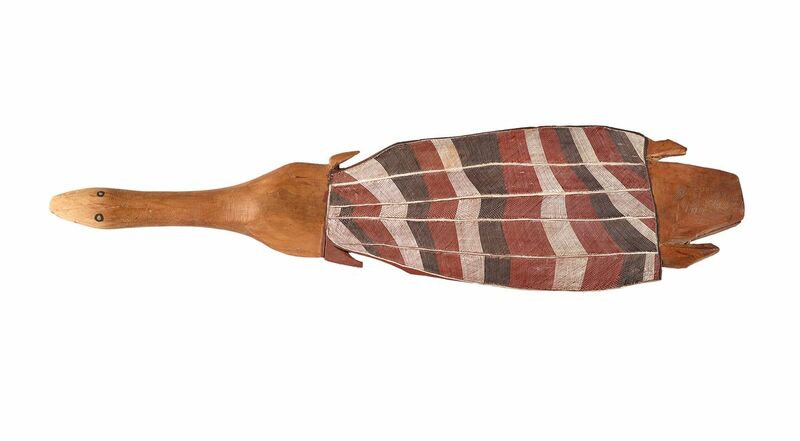 This first major Australian survey of his innovative work assembles scores of paintings and sculptures from collections across the country, made in a prolific creative career that spans four decades and deep ancestral time. The artist himself has led the selection of the works in a collaboration with AGSA and the Museum of Contemporary Art, Sydney. Presented bilingually in Kuninjku and English, the exhibition illuminates Kuninjku culture and the dynamic connections between land and ancestral power in Mawurndjul’s home in western Arnhem Land. The touring exhibition is a curated selection of many of the finest works shown at the major retrospective held at the MCA in 2018 and at AGSA from 26 October 2018 to 28 January 2019. Clothilde Bullen (MCA), Natasha Bullock (MCA), Nici Cumpston (AGSA) and Dr Lisa Slade (AGSA) with Keith Munro as Lead Cultural Advisor; in close collaboration with John Mawurndjul AM, Kay Lindjuwanga, Ananais Jawulba and Maningrida Arts & Culture staff Michelle Culpitt, Zebedee Bonson, Derek Carter and interpreter/translator Dr Murray Garde. Visit the exhibition website for John Mawurndjul: I am the old and the new. John Mawurndjul: I am the old and the new has been developed and co presented by the Museum of Contemporary Art Australia (MCA) and the Art Gallery of South Australia, in association with Maningrida Arts & Culture. 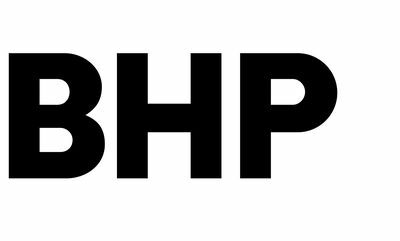 It is presented as part of TARNANTHI in partnership with BHP and with the support of the Government of South Australia. 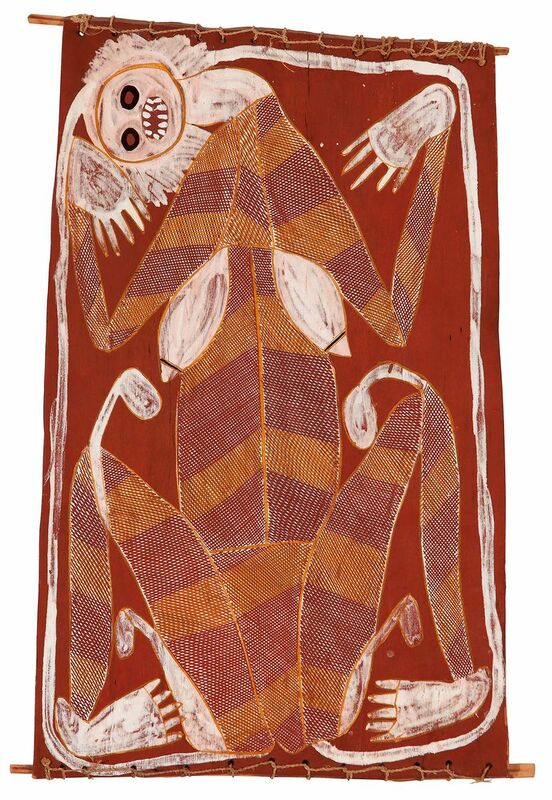 The exhibition tour has been assisted by the Australian Government’s Visions of Australia program. John Mawurndjul: I am the old and the new is a touring project developed and delivered by the Museum of Contemporary Art Australia, supported by Red Energy.